What according to the young man should Father William not do at his age? What does Father William do now that he was afraid to do in his youth? 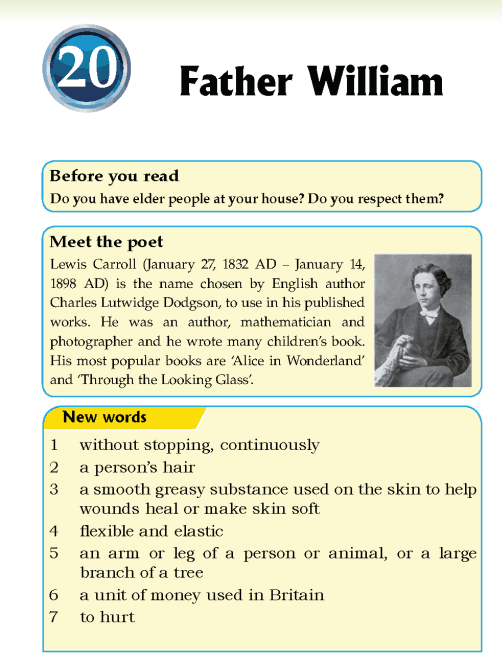 How does Father William explain the suppleness of his body?